BackPack Diaper Bag! ONE DAY ONLY! 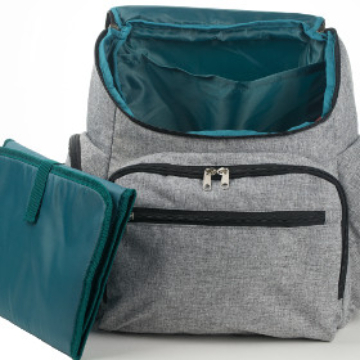 Diaper Bag Backpack for Mom: Compact Yet Roomy To Hold All Your Baby Gear Minimize Back Strain. Not your everyday backpack. These are stylish bags that any mom or dad can feel very good about transporting all the essentials for your kids. Backpack Equip trendy Diaper Bag Backpack-lightweight baby boy girl and toddler bags for travel or hiking-fits both men and women-stylish cloth with insulated pockets-changing pad and stroller straps. 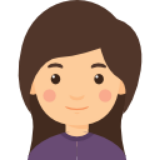 We know you're a busy mom or dad trying to juggle parenting with the busyness of life. 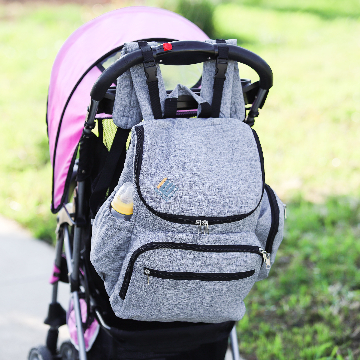 With our diaper bag backpack you really can get so much more done without sacrificing fashion or function. When Daddy wants to help carry the load but doesn't feel comfortable holding a pastel tote with giraffes and bunnies, let him slip into this classy, gender-neutral backpack. He'll feel comfortable with its size as well as its cool appearance. Sturdy adjustable straps are easy to use for the perfect fit for both Dad and Mom. 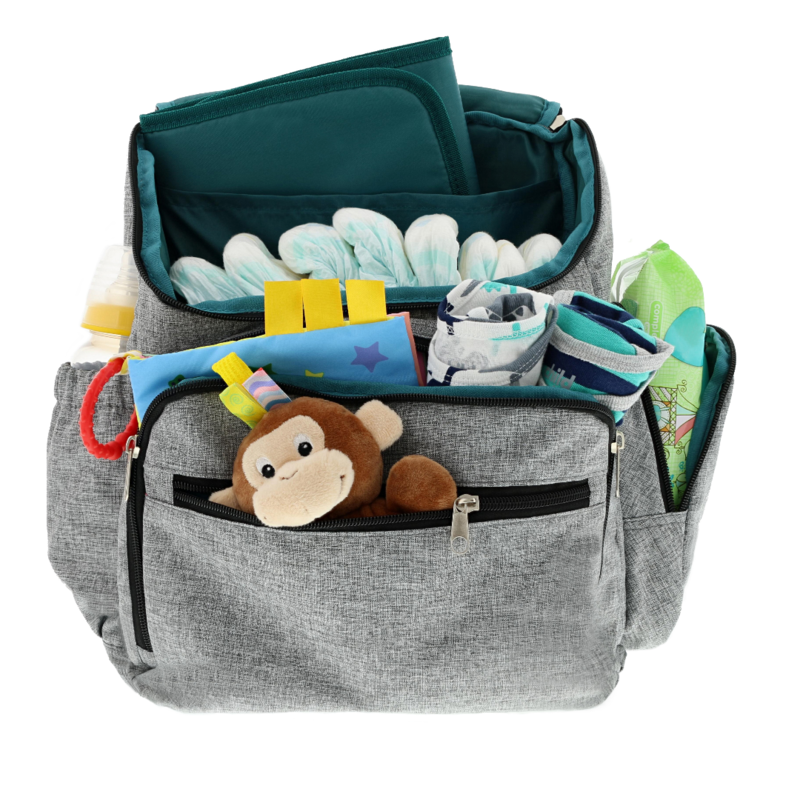 When you're out and need a public restroom changing table, just whip out the handy changing pad included in every Backpack Equip diaper bag backpack. You'll know it's clean and sanitary when it's your own pad. What about when your little one grows up? Our backpack is stylish enough to continue using well beyond the baby years. Plenty of pocket space for organizing makes this bag better than a purse. And that changing pad becomes a perfect seat cover to protect your clothes at picnic tables in the park. * keeps your hands-free to care for your little ones. * pockets inside and out to stay organized. * looks chic and sporty while being gender neutral. * useful far beyond the baby stage of life. 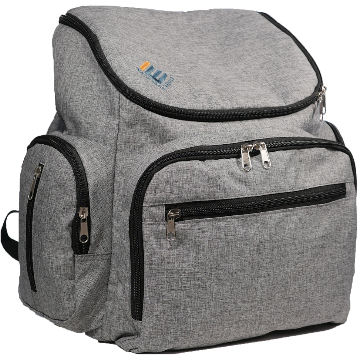 Stock is limited, so order your Backpack Equip Diaper Bag Backpack today 100% risk-free. 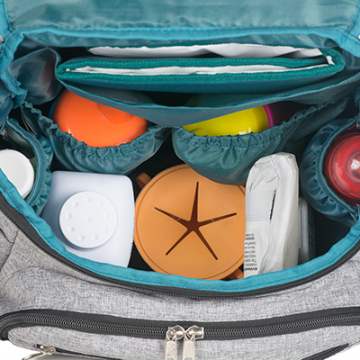 For the convenience of travel and ease of access use the diaper bag with stroller straps. This small bag carries a lot more stuff than you would think it could and you still have room to spare. Need em check access thru the side pocket zipper bag or take the whole package out thru the top.